Marsh was writing at a time when a new ad format, rewarded video ads, were replacing the old pop-ups and banners. But rewarded ads, when first introduced, seemed to violate an Apple guideline and, more importantly, threatened the success of the ads Apple sold through its iAd network. Mobile game developers had to make the case that rewarded ads were less intrusive and better for players, even if the overall sentiment remained anti-advertising. Rewarded ads are a simple twist on an old model: Normal ads work by blocking something else. TV ads, for example, have viewers sit through a couple minutes of come-ons for products to continue watching a program. A rewarded ad instead makes the viewing optional, but offers something in return. A typical example in games is reviving the player after a loss: If the player chooses, they can just ignore the ad and restart the game. Hyper Hippo served over 100 million rewarded ads in 2015 with its hit idle game, AdVenture Capitalist, which has ads that speed up game progress. 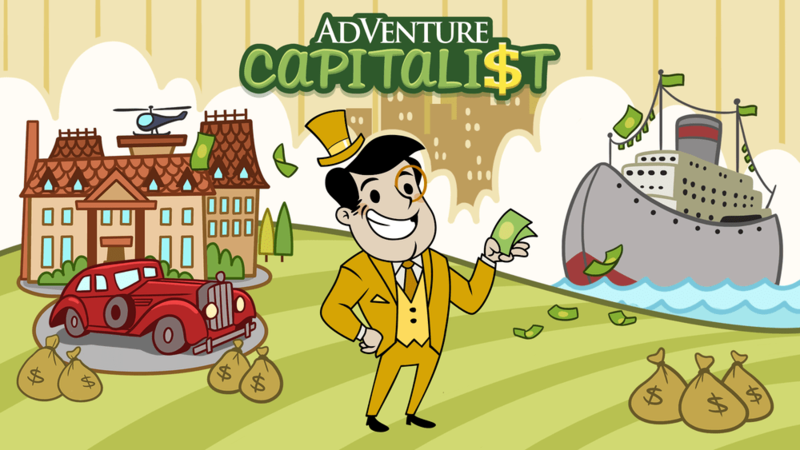 Over the course of many updates, AdVenture Capitalist has actually added more and more ads placements, driven not by an interest in growing revenue, but in response to player requests. Players see ads as an easy, affordable way to accelerate in-game progress. So it’s no surprise, really, that rewarded ads have a conversion rate many times higher than in-app purchases. 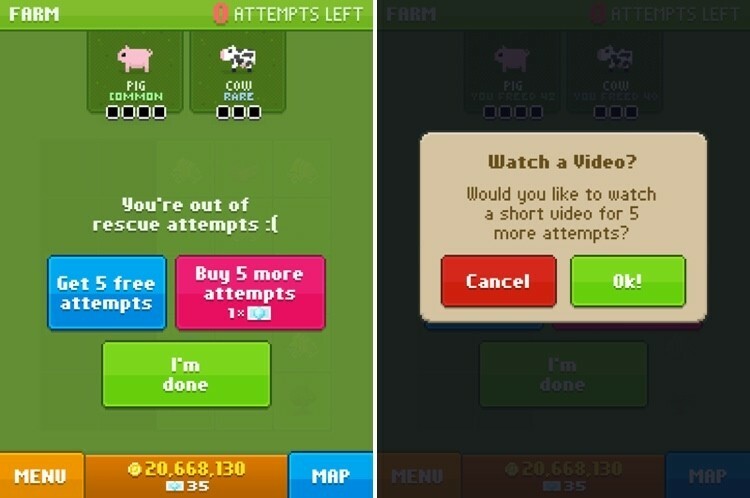 For a Casual Connect presentation, Kongregate (publisher of AdVenture Capitalist) offered stats showing 25 to 50 percent of users in its games engaging with ads, with three to eight views per day for ad watchers. Players who stick around and keep watching ads every day, at this rate, can add up to meaningful revenue. And in fact, paying users watch even more ads than non-paying users. These players are the most motivated to progress quickly, and in-app purchases and rewarded ads in combination offer more speedups than either alone. The key to a successful rewarded ad is in the design. In AdVenture Capitalist, for example, ads are offered on a timed basis to double the player’s in-game income. Another of their recent updates allows players to actually “stack” ads—that is, to watch several ads in a row, allowing them to extend the timed bonus they’d normally get for a single ad. 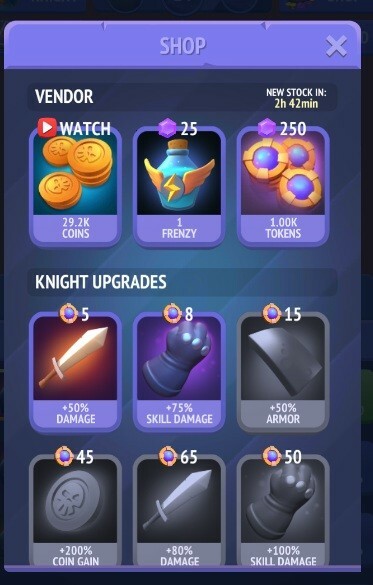 Another great ad-supported mobile game to emerge in the past few months is the endless dungeon battler, Nonstop Knight, where ads appear to offer a random reward every three hours. Crucially, these ads are a seamless part of the game. As mobile analyst Eric Seufert explains in an analysis of Nonstop‘s ad design in his blog, rather than “shoehorning” ads into the game, Flaregames designed the game around the ads, with the three-hour timer meant to affect session pacing. The ads themselves, moreover, are an essential component of the in-game economy. By Seufert’s estimation, Nonstop Knight may make a quarter million dollars per month from its ads alone, or almost a third of its revenue. The rewarded ad model shows that ads are most effective in the place and time that players actually want the reward. In two years, an unlikely-sounding metamorphosis occurred: ads became a business model that can meaningfully complement, or even compete with, IAP. More and more games are adopting this monetization tactic, from basic indie games that would have been paid apps just a few years ago, to leading properties like Angry Birds. The highest-monetizing games of the future may be those that, like Nonstop Knight and AdVenture Capitalist, give rewarded ads a place of pride next to IAPs.